Greenwood in Mississippi was home to this band which came together in 1963. They were actually known as The Kingsmen. 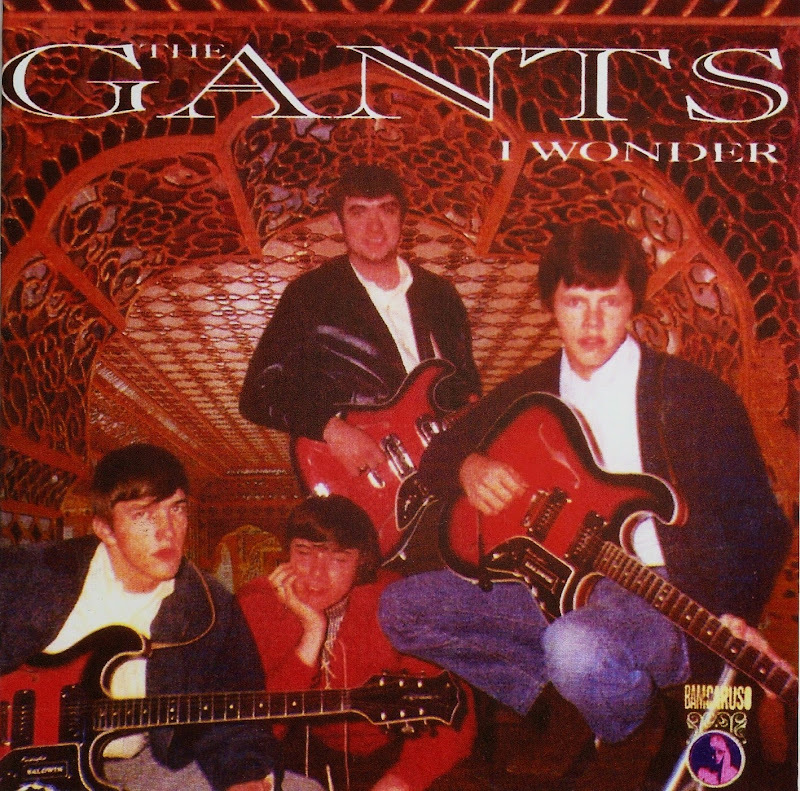 They called themselves The Gants when Johnny Sanders replaced Johnny Freeman on guitar. The name was taken from a local shirt manufacturer! In their early days, they sounded much like The Beatles and by chance The Animals' manager Mike Jeffries spotted them playing in Mississippi and booked them as a support act for an Animals tour. Before long they were in Alabama's Muscle Shoals studio recording their own arrangement of Bo Diddley's Roadrunner. It was very popular locally and after release on a couple of local labels it was picked up by Liberty and this national distribution took it to No. 46 in the national charts. An album followed and was made up from material recorded at the same session. It was a mixture of punk covers like Gloria and House of The Rising Sun and Sid Herring compositions like the melodic My Baby Don't Care and Six Days In May which underscored Herring's songwriting skills. A Johnny Burnette composition was chosen for their second 45 but it failed to return them to the charts. The third 45 took two of the better tracks from their Gants Galore album which had been recorded in Los Angeles earlier that year. Compared to their first effort this was disappointing. No Herring compositions were included and the whole album consisted of cover versions, including The Standell's Dirty Water, The Yardbirds' Shapes Of Things and Eddie Cochran's Summertime Blues and C'mon Everybody. In 1966 they were taken to Nashville, Tennessee, where they recorded a new 45 I Want Your Lovin', a fresh-sounding record with a taint of country and western influence, although The Beatles influence was still very evident. The third (and final) album was also recorded at the same time. This contained fine covers of Paul Revere's Hungry and The Rascals' You Better Run and some more fine Herring compositions, particularly I Wonder, a fine Beatlesque song. When neither the single or album made much impression they returned to Los Angeles and assisted by David Gates they recorded Greener Days, a good harmony pop song which had some regional success but failed to break through nationally. After one further harmony pop 45 in April 1967 Johnny Sanders quit and Johnny Freeman returned to replace him, but by the end of the year the whole band had largely collapsed. Only "largely", however, as some gigs were booked in the first half of 1969 through a Memphis Talent Agency and The Gants went on the road with Alston Meeks (ex-Reets) and Johnny Jennings taking over Johnny Sanders' guitar parts. In 1971, Herring and Wood formed Watchpocket. Sid Herring continued to record spasmodically and even released an album All American Dream in 1982.